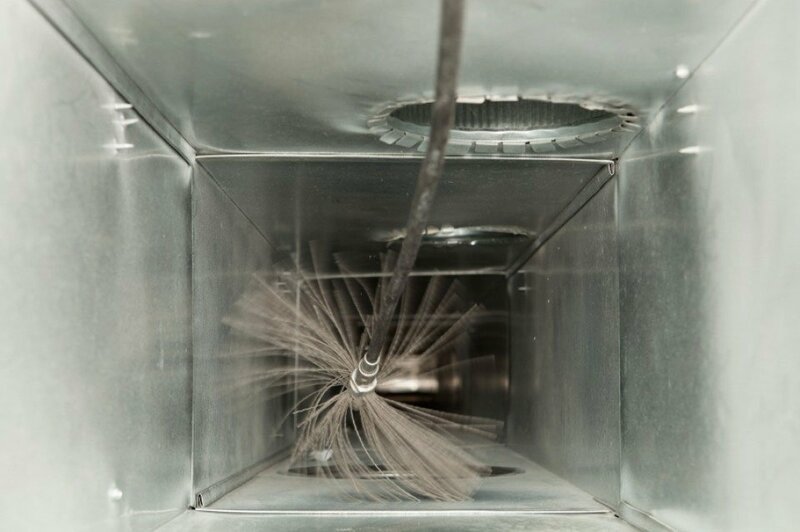 Duct cleaning typically refers to the cleaning of the various heating and cooling system components of forced air systems. These include the supply and return air ducts and registers, grilles and diffusers, heat exchangers, heating and cooling coils, condensate drain pans, fan motor and fan housing, and the air handling unit housing. If these components are not properly installed, maintained, and operated, they may become contaminated with particles of dust, pollen or other debris. If moisture is present, the potential for microbiological growth (like mold) is increased – and spores from this growth can be released into the home’s living space. Some of these contaminants may cause allergic reactions or other symptoms in people that are exposed to them. A dirty HVAC system works less efficiently and breaks down more frequently. Removal of indoor airborne contaminants. Improved indoor air quality and distribution. Reduced household cleaning and dusting. Reduced allergy and respiratory suffering. Reduced monthly heating/cooling expenses and the need for costly system repairs. We at Accu-Temp use only state of the art equipment and our own team of cleaning professionals. Our staff has been trained to do a variety of jobs thoroughly, safely, and expertly, since we pride ourselves in quality worksmanship. DON’T put off your health! Duct cleaning could be the healthiest home or business improvement investment you will ever make! Contact the professionals at Accu-Temp Corp to learn more about air duct cleaning, and to discuss whether this service will benefit the health of your heating and cooling system.